As fundraising fashions come and go, which elements are vital and which can be varied or skipped from year to year? Congregations have successfully flouted techniques once thought essential—in-home canvassing, a published budget, the kickoff dinner, even the hallowed pledge card. Replacement approaches rise and fall: Consecration Sunday, crowdfunding, targeted giving. Has human nature changed so much, or do fundamental principles apply? Human nature has changed—at least a little. Many of the fundraising practices we inherit in Protestant churches date from the “stewardship” movement of the 1890s, refined during the boom years after World War II. Those whose lives were formed by the Great Depression and World War II responded to appeals to build, invest, fund, endow; to concepts like responsibility, the future, permanence; to routines like the every-member canvass, the unified budget, and the pledge card. The “GI generation” could be counted on to give substantially to institutionalize the values for which they sacrificed so much. But the youngest World War II vets now are in their 90s. Much of the power and money in congregations has shifted to the Baby Boomers, who as a group take security and institutions for granted, even when they protest against them. They respond most generously to words like service, transformation, people; and to concepts like quality, shared ministry and renovation. Younger generations—GenX and the Millennials—have generally experienced less stability and much less upward mobility. They don’t naturally trust institutions, many of which seem designed to thwart, rather than to support, their flourishing. But they can be generous supporters of programs and activities that empower and benefit them directly. As a group, they respond best to fundraising practices like targeted appeals, crowdfunding, fees for service, and giving as a spiritual discipline. 1. A clear, compelling vision. A vision to encourage giving is not the abstract vision of most mission statements; nor is it the budget, droned out in detail by bean-counting volunteers. It is a succinct statement of a short list of new, important ways the congregation will serve people in the coming year if the campaign succeeds. The best fundraising vision conjures up a vivid image of the people being helped—even if the exact connection between the money and the help has to be explained in a footnote. If you need money for a long-term investment, say so. But at the same time, show how the investment will change people’s lives. Building renovations help make people safe and happy. Debt repayment frees up money for the programs and activities people value. Donors give when they can picture good results for people. 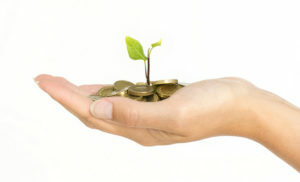 Of course, if you succeed at raising money, you have to produce the results you promised! 2. A specific, tested “ask.” To ask people to give money, you must know how much you are asking them to give. An ask is not a test of loyalty—no one should be shamed for saying no. The “ask” does not say what members ought to give. And yet, the clearer the ask, the larger the number of people who will respond by saying yes. One traditional approach is to ask everyone to tithe. Or if tithing is not common practice, asking for a smaller percentage may be more effective. It rarely works to ask people to give more generously than the congregation’s leaders do. In deciding what to ask for, I start with the 80th percentile gift—the amount given (or pledged) by the 20th family out of a hundred. This amount is often a good reflection of the giving habits of families with typical resources and high commitment. It is never helpful to talk about the average gift, or to ask for a percentage increase. Neither of these numbers gives a useful answer the question newcomers are asking: What are you asking me to give? 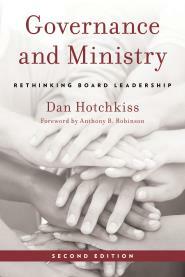 For the “ask” to be effective, the leadership must endorse it corporately and personally. If leaders can honestly say, “We’re asking every family to consider giving five percent of its gross income, and the board and finance leaders have overwhelmingly said “yes” to this request,” experience shows that 50% of persons asked will answer “yes” themselves. 3. Askers who ask. No effort should be spared in helping stewardship workers to (1) meet with their prospects, (2) relate the vision, and (3) ask for a pledge. If these three things happen, it makes little difference whether the meeting happens in the home, at church, or in a coffee shop. All things being equal, the best way to ask is face to face, one on one or two on two. The larger the audience, the more dilute the asker’s influence will be. Why, then, are large-group asks, like Herb Miller’s Consecration Sunday, often so effective where the every-member canvass fails? The reason is that in the real world, many canvassers don’t ask at all. They may visit, and they may get a pledge, but they don’t convey the vision and they do not ask for money. Consecration Sunday works—even though it uses the least powerful venue, a large-group—because it uses a professional asker who can at least be counted on to ask. With these three fundamentals firmly in place, I have found it possible to conduct successful giving campaigns across all generations in a wide range of congregational cultures. I appreciate many of the fundraising resources available, especially Clif Christopher’s Not Your Parents’ Offering Plate and a new book by Linda McNay and Sarah Matthews, Fundraising for Churches. It is less work and more fun to conduct a focused, effective fundraising effort than a diffuse and scattered one. The hard part is keeping the leaders’ attention on the basics. Can “Neighbors” Be Board Members?